With high quality cameras within easy reach on our phones, we’re taking more pictures than ever. It’s time to get those photos of the tech and into our homes. Here are some of my favorite unique ways to display your pictures. 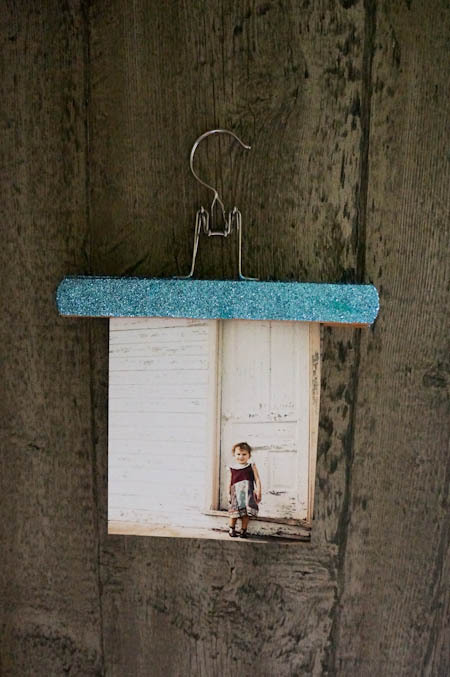 Grab a wooden hanger to create your own easy to change photo hanger. It’s got just enough glitter, and it’s so simple yet chic. It would also be a great way to display your child’s art. I love these tiny mountains. The colors are perfect and unique, and they’re so simple. Perfect for a modern home that needs some personal touches. 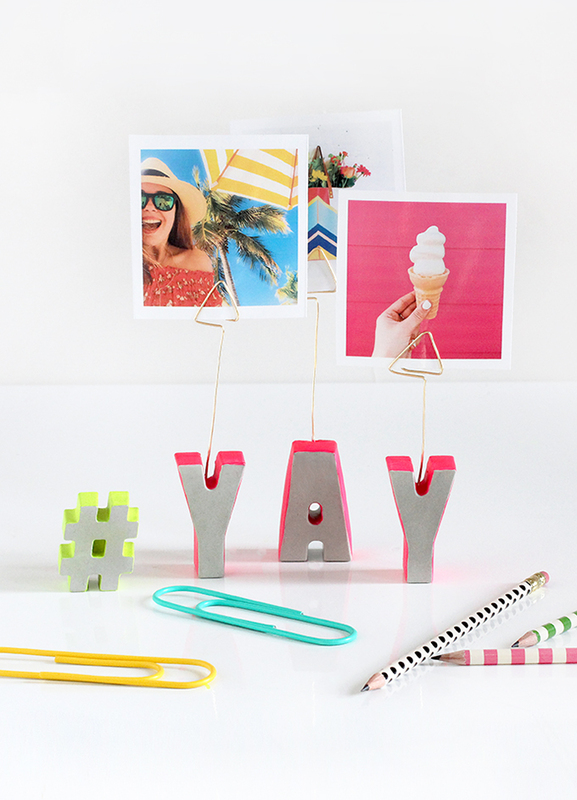 Spell out someone’s name or your favorite phrase to create these cute and graphic photo displays. I love the bright neon around the edges. It gives a funky and fun vibe to the craft. A wonderful gift for a teenager! 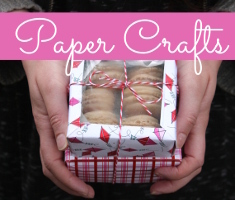 This easy craft is the perfect gift for mother’s day or teacher appreciation. It’s a unique way to display a photo and can also be used as a fun pencil holder or other storage. These easy clips are so simple and so pretty. 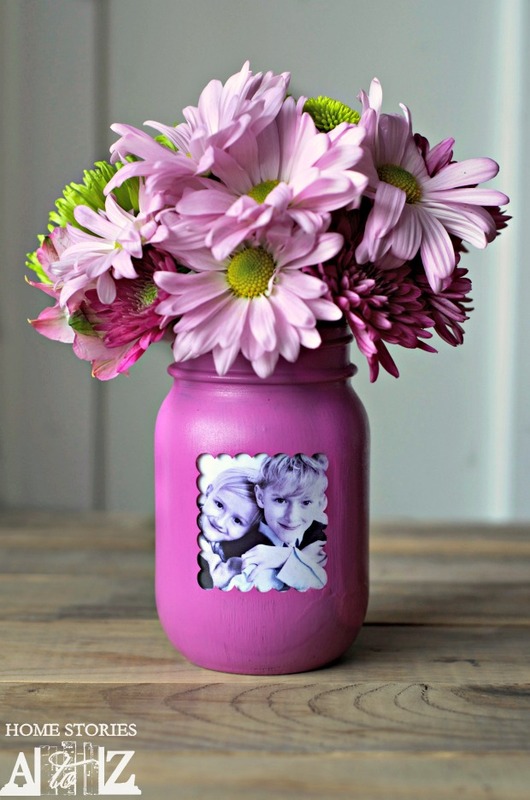 Wouldn’t they be pretty as a way to display photos at a wedding or party? Do you have too many photos and need another way to use them? 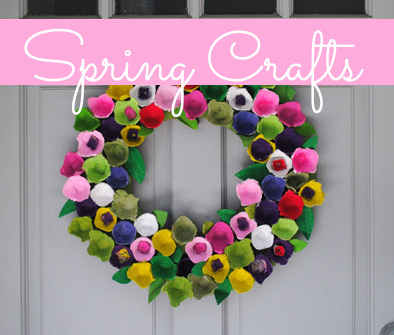 Head to our Craft Trends Pin Board to find even more ways to display your photos. 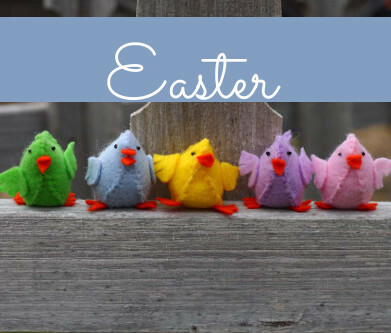 This entry was posted in Craft Trends, DIY gift ideas, Home Decor and tagged Photo Crafts, Photo Frames on April 22, 2017 by Joselyn.